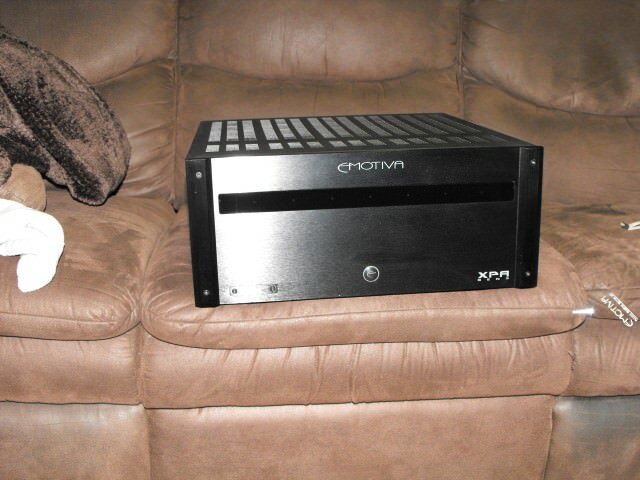 Forums » General Discussion » Home Theater » Audyssey DSX wides vs. heights? #392970 - 05/09/13 06:07 PM Audyssey DSX wides vs. heights? My current setup is 5.1, all Axiom speakers. For now, I only have enough money to put up either DSX heights or wides. I've been scouring forums to get different opinions and I'm stuck. I've emailed Chris at Audyssey and even called Axiom. All different opinions. SO, I'm looking for personal experience, not theory. Anyone listened to both configurations that prefer one or the other? I am strongly leaning towards heights because I have a tall cathedral ceiling and I think it may add some really nice reflections up high. I like the idea of expanding the sound stage upward, rather than just getting wider (Brent agreed with this, btw). Opinions anyone? No theory, if possible, just listening experiences. I use M2's as wides but also tried them as heights. I found that much more information was available in the wide channel. Only way to be sure is to try it yourself. I have low ceilings and could not really put them as high as recommended so I didn't find it added much. Peter, Dean(grunt)probably has done the most experimenting with wides and highs and has commented several times. Here's an example of his view on the matter. That's helpful. I am also considering PLIIz as an alternative. Anyone have experience with this? I've been reading that some people really like it and it doesn't take away volume from the surround speakers as DSX appears to do. How wide is your room? Unless you can move the width speakers several feet to left / right of the mains, and position them midway along the side walls, between you and the mains - don't screw with them. I tried for weeks and gave up with my narrow room (12'). There is more information, and I suspect that if you have the space for them, then the width speakers would be terrific. Height channels add some ambiance, but nothing earth shattering. I've been using PLIIZ for over a year now and most of the time, I'm not even aware that the height channels are in the mix (QS8's). I have both wides and heights. Go with wides first always. This is also per audyssey DSX website as well, wides take priority over heights. Well, I've put up some M2's for heights and the difference is stunning. I have them angled down at the listener. I'm using DSX height mode (not IIz). I can imagine a purest wanting just 5.1 or 7.1, but these speakers aren't going anywhere. They create a giant wall of sound. I just ordered some M2's for wides as well. Should be fun! a real purist (fundamentalist) will have a monophonic system, like what people used to have "in the good old times". my system is 7 channels, and that gives me 6 spare channels when one breaks down. I have a 9.2 receiver and 1 spare real wood M2. Kinda makes me want to buy a matching one and try the heights. LOL. I already have 10 speakers hooked up to it. In my case, I doubt I'd get much, if any, benefit from heights, since I have 3 M22's already mounted above the TV. I made some minor changes to my HT room plus dropped my 2 X Velodyne Subs' Volume to 2.0 from 2.5 - so I re-ran Audyssey today. Interestingly, while Audyssey set my QS4s & VP100 crossovers to the expected 80Hz, I was surprised to see that my M22s were determined to be 40Hz again. Perhaps they go lower than advertised in my room as I kinda expected 60Hz; however, I manually set them to 80Hz. The subs at the 2.0 level are now set at -4.0Db vice the -9.2Db where it had been previously. That setting is now closer to the center of Audyssey's correction range.